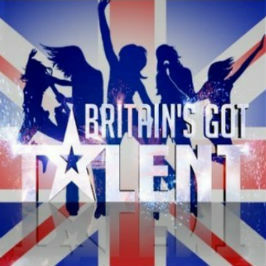 Showcase your talent and take it all the way in the Britain’s Got Talent online slot from Ash Gaming. This entertaining video slot is based on the much-loved TV talent show. The video slot comes with two bonus rounds that can grab you Free Spins and Frozen Wilds. If you’re talented enough, you could go on to take the £10,000 top win. Let’s just hope our friend Mr Cowell will let you get that far. Read more about the Britain’s Got Talent slot in this breakdown guide. 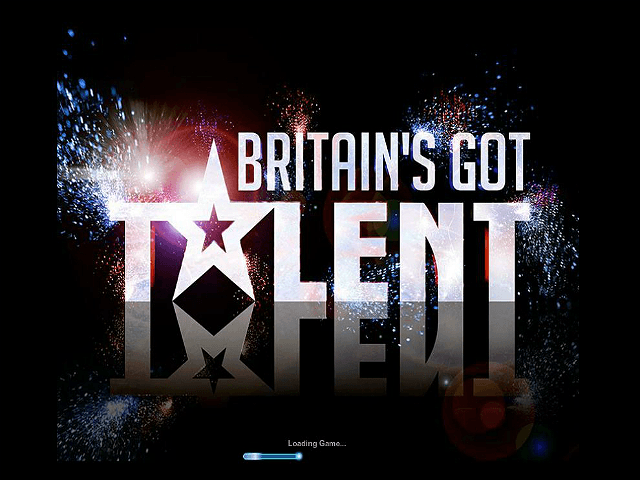 Play Britain's Got Talent Slot Demo for Free! Play Britain's Got Talent for Real Money! If you're a fan of talent shows such as the X-Factor, you're sure to love this video slot. 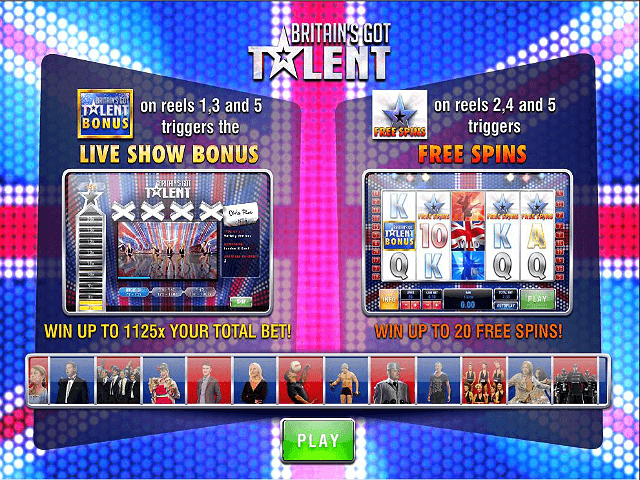 The Britain's Got Talent slot game is played on five reels and 20 adjustable paylines with plenty of in-game action to take on. You can test out your talent from just 20p per spin or hit the reels with £1,000 per spin if you have a Simon Cowell-sized bankroll. The game is set across a Union Jack flag with music that’s straight out of the TV show itself. The symbols are vibrant with coloured silhouettes of a singer, a dancer and a juggler. The game is all about being crowned the ‘Winner of Britain's Got Talent’ and this is done by hitting that big win. As you spin the reels of this video slot, you’ll see video clips from the contest (which can be skipped). These clips represent your act and you get judged to see if you make it through the next round. If you get a yes from the judges then you’ll play your way through the finals, increasing the Multipliers as you do. Think you’re talented enough? The louder the applause, the bigger your prize, and if your act goes all the way to the final you’ll reach Multipliers between 50x and 1,000x. And that means BIG wins. The Union Jack flag represents the Wild symbol and substitutes for all other symbols except the Scatter. If you hit a five-symbol combo on your line bet then you’ll hit the big time with a 10,000-coin payout. The Britain’s Got Talent slot machine contains two very exciting bonus events that can take you all the way to the Royal Variety Performance (if you’re talented enough). If you hit three BGT symbols on reels one, three and five you’ll activate the Live Show Bonus round. This is where you can take your talented act to the finals. You start by picking a musical act, dance act or novelty act to represent your talents and then you spin a wheel that features all eight acts in the category. If it lands on your act and the four judges like it then you can make your way to the finals and gain some very rewarding Multipliers. A Free Spins game triggers when you land the Free Spins symbol on reels two, three and five. Here you can scoop between seven and 20 Free Spins. 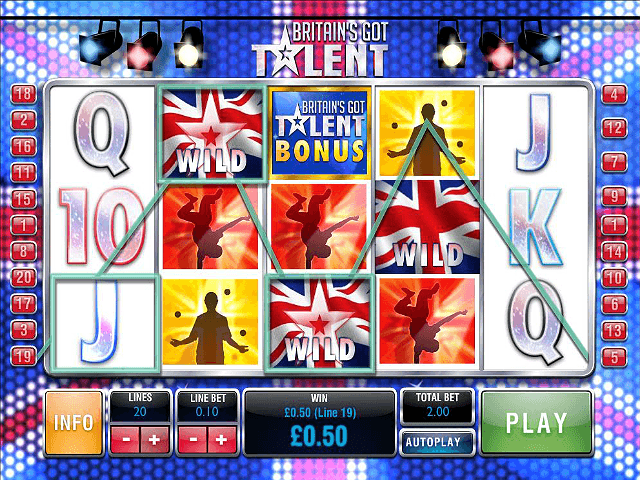 Before the reels start spinning a Britain’s Got Talent logo flies across the reels and drops up to five Wilds on the reels to improve your chances of landing winning combinations. Go to your favourite casino to find out if you're a slot superstar in this talent show! Share this Britain's Got Talent Review today! 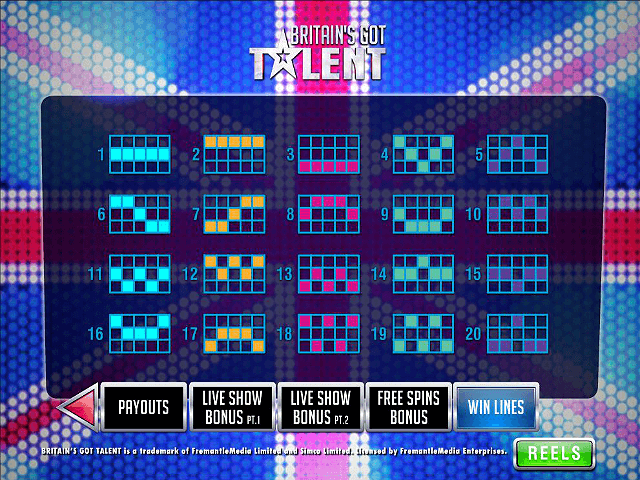 If you like Britain's Got Talent, you'll love these slot titles too!